Edible Arrangements® will donate $20,000 worth of fresh fruit in four major cities across the U.S. Mothers are the hardest working people on the planet. Edible Arrangements® Founder and CEO, Tariq Farid, believes this wholeheartedly. He remembers his mother, Salma, doing everything she could to keep her struggling family happy and healthy – and he credits her with the success of Edible Arrangements®. The lessons from Farid’s mother live on the company today, and it’s in her honor that Edible® is celebrating moms everywhere by donating delicious, fresh fruit across the U.S. to help other hardworking mothers who may not be able to otherwise afford fresh produce regularly. 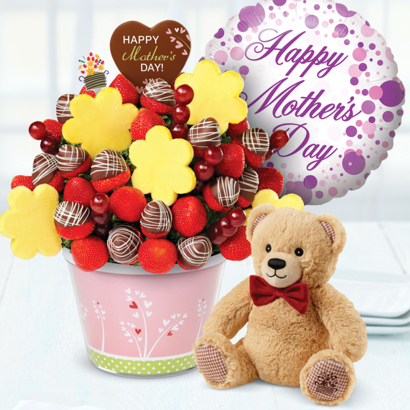 Edible Arrangements® will also help celebrate thousands of moms worldwide by delivering signature fresh fruit gifts this Mother’s Day. 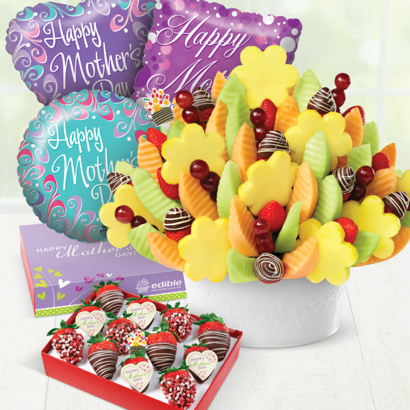 It’s Edible Arrangements®’ busiest time of year; guests send fruit arrangements and gifts to their moms, partners, grandmothers, aunts, sisters, best friends and more! Freshly-crafted gifts from Edible Arrangements® are the shareable and unexpected way to show Mom you care this Mother’s Day. The beautifully, hand-crafted designs make these gifts stand out and each recipient feel special. 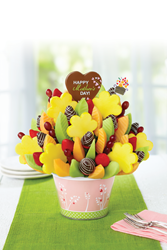 To learn more about Edible Arrangements®’ Mother’s Day Collection go to http://edible.com/mothers-day-gifts. With more than 1,300 franchise locations open or under development worldwide, Edible Arrangements International, LLC is the world’s largest franchisor of shops offering creatively designed, fresh-cut fruit arrangements. Edible Arrangements® store locations also carry the company’s rapidly expanding Edible To Go® line which features all-natural, fresh fruit smoothies, chocolate Dipped Fruit™, Froyo Fruit Blends™, fresh fruit salads, parfaits and treats. Since its founding in 1999 in East Haven, Conn., the company has been recognized as an industry leader, ranking first in its category in Entrepreneur magazine’s annual “Franchise 500,” Entrepreneur’s Top 40 of “Fastest Growing Franchises” and “America’s Top Global Franchises” as well as being included among the “Inc. 5000” list of the fastest growing, privately-held companies. Edible Arrangements®’ fresh fruit arrangements, chocolate Dipped Fruit™, fresh fruit smoothies and more can be enjoyed at franchise locations worldwide. 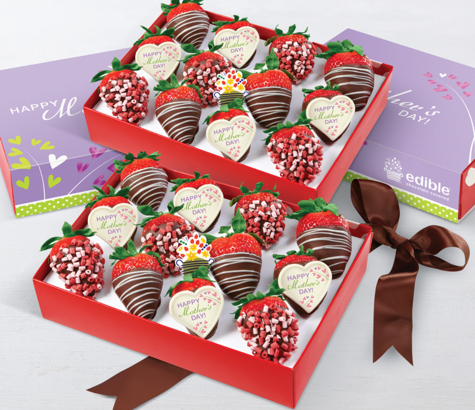 Gifts can be ordered online at edible.com, by phone at 1-877- DO-FRUIT ® or through any local Edible Arrangements® store.